I have a CMYK printer and no color will show up on my black label. How can I make this work? Ideally, I would like white or gold writing. Thank you! Black labels are hard to work with unless you write on them specifically. We do have amazing pens/markers that will look beautiful with a black label: https://www.jampaper.com/GelPensMarkers/PensMarkers-ByColor/WhitePensMarkers https://www.jampaper.com/GelPensMarkers/PensMarkers-ByColor/GoldPensMarkers I know this is more tedious, but it will look great! Sorry for any inconvenience this may cause. does it work to use white ink from either a laser or inkjet printer on your black or dark colored labels of any size? It should work, although we suggest using a laser printer to eliminate any chance of smudging and smearing. Let us know if you have any more questions! Hello, I just purchased 4 packs of these labels and I was wondering if you could advise me how to print on them. I tried printing on white ink and grey ink and nothing will show up. Can you please have someone reach me ASAP via email. Thank you. Hi Michelle. Sorry for your trouble! Please check your email for additional information. For everyone - Home printers are usually CMYK color printers, which do not print white (instead they use the white from the paper itself). When printing gray, it actually just distributes black ink on white paper. A better explanation can be found here: http://www.howtogeek.com/174310/can-a-printer-print-white/. Do you have a template for this label we can find online to add text to this specific label? Hello, You can find template labels via our site on the link I've pasted below. You will want to select the &quot;2.625 x 1 inch&quot; labels. http://www.jampaper.com/Templates.asp Thanks! What color font do you use in a document for the letters to show when printing on a laser printer? 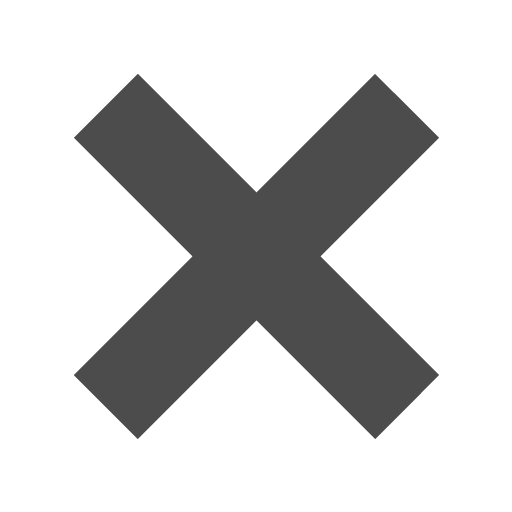 Is the black address label paper acid free? If you're looking for a classy, sophisticated label for your next invitation, you've come to right place. Whether you’re sending out special invitations for a wedding or banquet, or sending important business inquires, a dark address label can make that correspondence all the more professional. Our dark address labels work with all printers. You can save time and energy with bulk mail by quickly printing out addresses instead of individually handwriting each one and at the same time still design it the way you'd like! 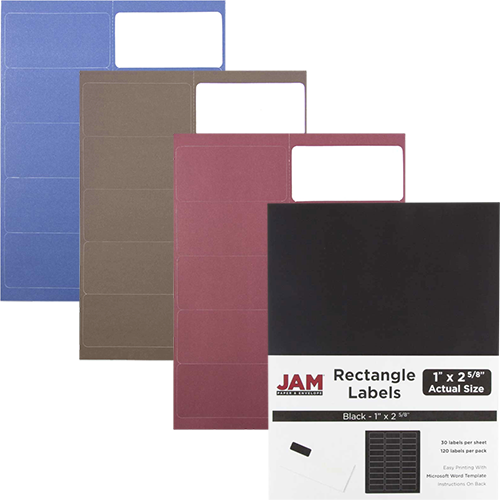 So treat yourself to a dark address label from JAM Paper! You will be glad that you adorned that precious invitation with a JAM label. Dark Address Labels come with 120 labels per pack. Label sizes are available in four different sizes including 1 x 2 5/8, 2 x 4, 3 1/3 x 4, and 1 2/3 Circle Labels. Dark Address Labels are available in: Black, Burgundy, Chocolate Brown, and Navy Blue. Check which color matches with what size!